You work hard on developing carefully thought out strategy and policy only to have the content of your plan sit on the shelf in dense, hard to read documents. 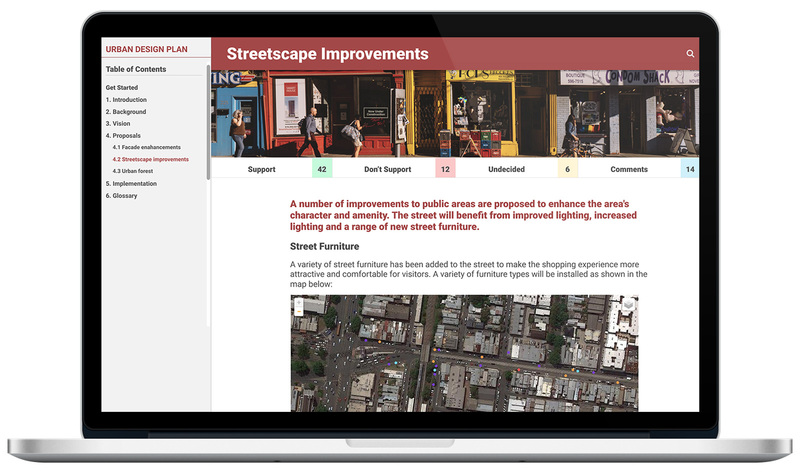 CivicDocs brings your docs online to make them more accessible and helps you get targeted feedback from your audience. Bring your document to the web to make it easier to access and navigate. Provide users with a way to quickly search its content to find what’s important to them. Collect feedback relating to specific parts of your document and have users vote on whether they support (or do not support) each section. 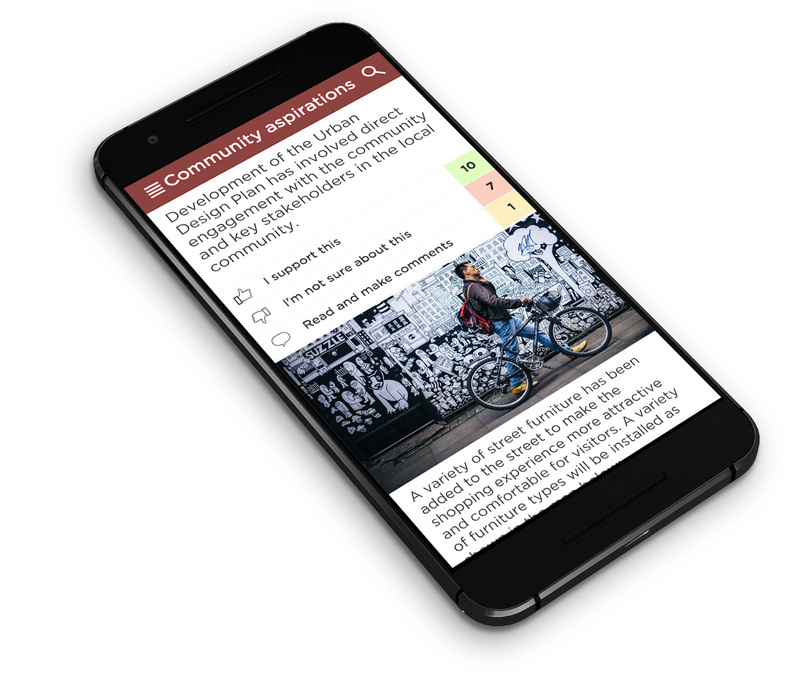 Engage your audience in a moderated, public discussion to collect balanced viewpoints and encourage interaction between your audience. Easily manage the content of the website to add chapters, edit content and deploy a range of tools such as text, images, videos and web maps. Evolve your document over time to reflect changing information. Users can easily navigate the chapters and sections of your document as well a perform content search of keywords. Allow users to vote on which sections of the document they support and those they don’t and publicly display the voting results. 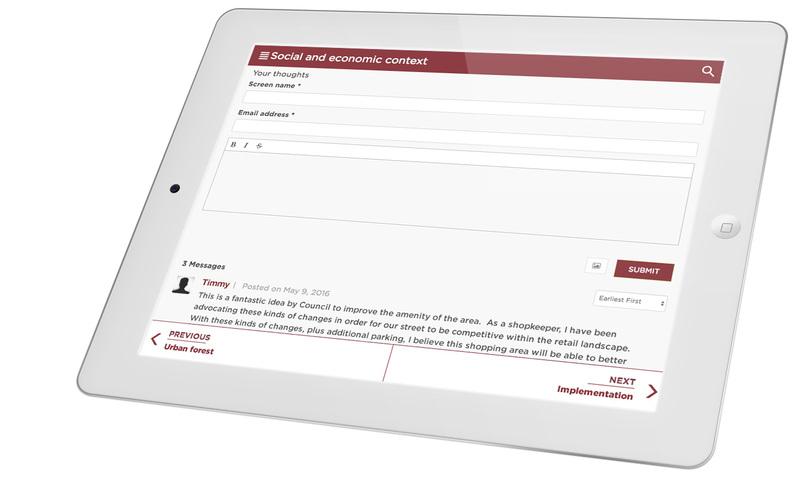 Conduct online discussions within each section to allow users to leave qualitative feedback and have conversations between themselves. See how many visitors have viewed your docs and made comments along with the support for each section. Easily export qualitative data for further analysis. Incorporate your brand elements by adding your logo, customising colours and fonts to match your brand identity. Launch the app on a custom url or subdomain and start using without downloading any software. Access our help docs and customer support team to get the most out of the product.